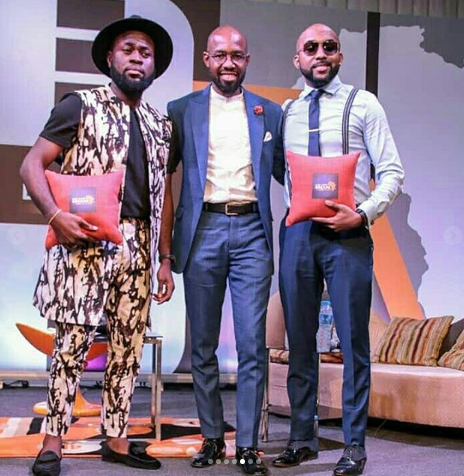 The 6 th edition of Live Your Dreams Africa which held at Glitz event centre, Lekki, Lagos on the 19 th of March, 2018 witnessed one of the largest assemblies of aspiring youth entrepreneurs in Nigeria. This exceptional event tagged “The Awakening” was designed to provide a platform to empower youths to live their dreams and aspirations in an emerging economy like Nigeria’s. In attendance were successful individuals from various walks of life who offered inspiring and educating information to serve as a guide to aspiring entrepreneurs, talents and business leaders. Since 2013, Live Your Dreams Africa (LYDA) has brought together youths with a variety of entrepreneurial aspirations; creating a platform for them to learn and dream even bigger by connecting with role models and established and talented entrepreneurs from across a broad spectrum of careers. This year’s edition tagged “The Awakening” also marks the launch of the Dream Development Centre (DDC), an initiative of Live Your Dreams Africa which is targeted at developing young talented individuals, and equipping them for future success. Present at this year’s edition were super-talented and illustrious individuals who have recorded laudable success in their respective careers. Talents like the prolific dancer, Kafayat Shafau (Kaffy); Enitimi Odom (Timaya) whose music is recognized internationally; Nosa Afolabi (Lasisi Elenu) who has garnered outstanding recognition through internet comedy; business mogul and founder of Medplus, Joke Bakare; seasoned events planner, Funke Bucknor-Obruthe veteran actress, Ireti Doyle; multi award-winning music artiste, Bankole Williams (Banky W) and a host of others were at the conference to inspire the multitude of youths assembled with hopes of being able to live their own dreams in the nearest future. Live Your Dreams Africa is the brainchild of Bankole Williams, a seasoned management consultant and mentor. The Live Your Dreams Africa Conference is an initiative geared towards awakening dormant potentials in Nigerian youths by providing them with skills and mentorship necessary to realizing their dreams. This year’s edition which was in partnership with Aspire Coronation Trust (ACT) Foundation witnessed a significant increase in the number of participants since inception. Speaking on the benefits of the conference to Nigerian youths, the CEO, ACT Foundation, Osayi Alile restated the grant making organization’s commitment to ensuring large scale youth empowerment. “Our youths are hardworking and should be highly regarded as future nation builders. This conference is a great opportunity to harness their potentials and prepare them for impactful leadership”, she stated.